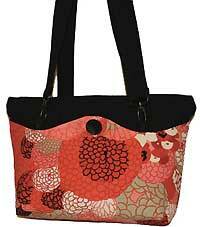 The Versatile Wave Tote bag pattern by Ruthann Stilwell is a pattern to make an interchangeable purse! The cover of this bag can be removed and interchanged for another cover that you make and it fastens on neatly with buttons. 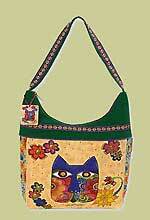 A unique feature of this bag pattern is that the straps are also interchangeable and the reversible cover can be made with only 2 fat quarters. 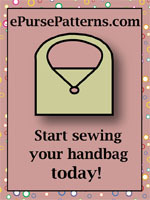 Instructions are also included for a check book clutch and the finished size of the purse is 12"x 8 1/2". 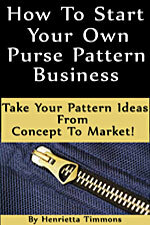 Pattern Piece is included for the wave cover template. Batting - 8" x 16"